Scouts are typically between 10½ and 14 years old. The Troop is led by a Scout Leader (SL) with a team of Assistant Scout Leaders. The Troop is divided into Patrols of about 7 Scouts led by a Patrol Leader (PL). There are currently around 60 scouts divided into 9 Patrols. The leader team aim to deliver a programme that allows Scouts to attain their Chief Scout Gold Award during their time with the Troop. This is the highest award available as a Scout and includes a number of wide-ranging activities and challenges. Among other things, they are learn useful life skills, take part in outdoor games as well as a number of environmental and community activities. 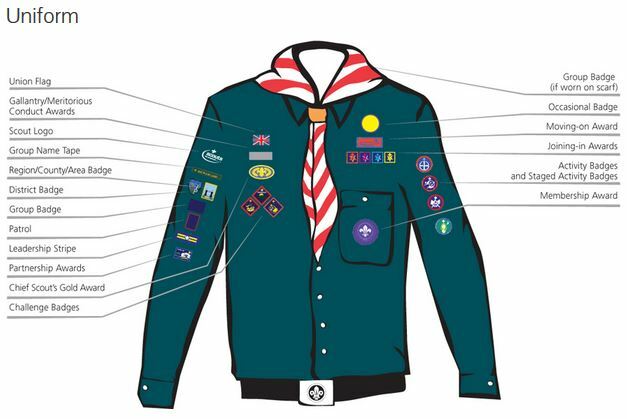 The Scouts are regularly asked to suggest programme activities. The Scouts section offer a number of camping opportunities throughout the year including the Group Spring Bank camp, summer camp and Water Weekend in September. The Troop meets from 7:30 to 9:30 pm on Fridays in the Scout HQ. There are occasions when the Troop will meet at other locations to undertake outdoor activities. As the Cubs moved up to Scouts, so Scouts pass into Explorers. This happens when they are 14 years of age.